← What About the: Respiratory Therapists? 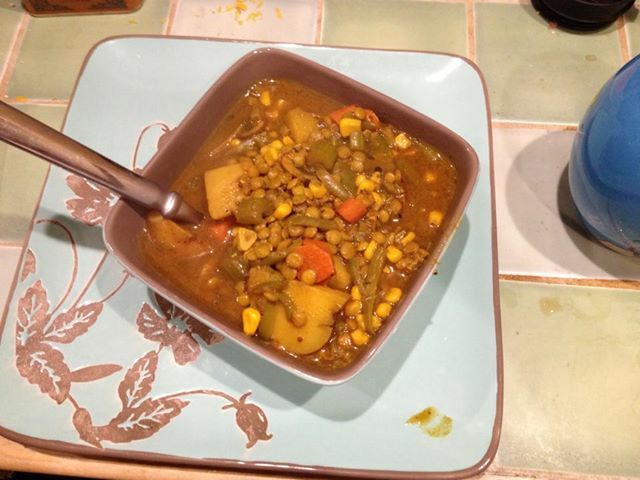 Posted on January 10, 2014, in recipes and tagged CookingwithJoAnne, curried lentil vegetable soup, lentils, recipes. Bookmark the permalink. Comments Off on Curried Lentil Vegetable Soup.